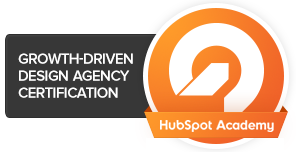 We are a Hubspot Certified Agency. Gain prestige, boost traffic, improve your website's search rankings and make purchase decisions with a content strategy and an inbound marketing approach. We design and develop your website from scratch, adapting to your needs applying specialized art direction. We create cross-platform responsive sites with advanced programming or CMS to support your digital marketing needs. We are Google Partners and expert SEM consultants. Achieve immediate results and obtain a much higher ROI. Create result-oriented campaigns. Landings, A / B tests. We are SEO expert advisors. SEO On and Off-page. Make the content for your services and products more relevant and increase customer interest and traffic to your website. We are web analytics consultants. Our services range from advanced analytics configuration, custom reports, dashboards, etc. to assessing and proposing potential improvements. A usability and web optimization analysis is the most profitable investment for your website. We perform usability and web optimisation analysis since 2003. Full Email Marketing services. From consultancy to analytics, through design, creativity, multi-platform layout and delivery through their own certified platform. Creation of profiles, social media strategies, network advertising, community manager services. We are the extension of your digital marketing department. We cover all the areas necessary for your digital strategy, we offer a global digital service oriented to results. We have been maintaining lasting and mutually beneficial relationships with our clients since 2003. We adapt to your department with the missing pieces as if we were from your own company. Everything we do is with our own team of professionals to take maximum care of the quality and of course, the price. Do you want to improve your roi with a 360º digital marketing strategy?